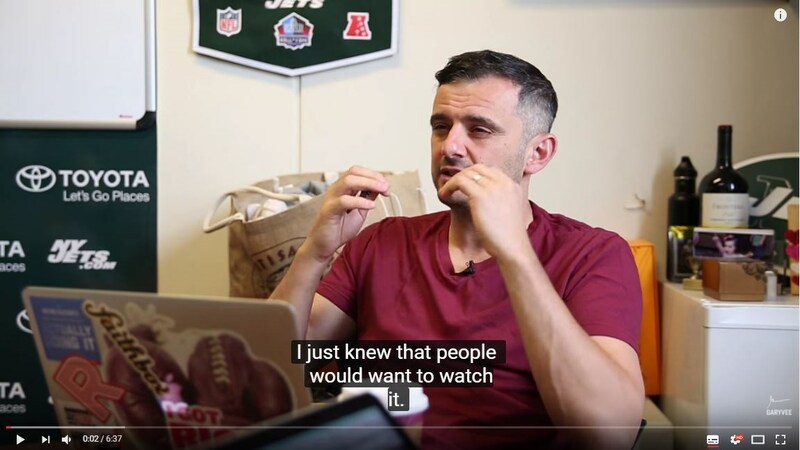 I am a big fan of Gary Vaynerchuck (Gary V). He’s a self-made, smack talking, e-commerce pioneer/marketer who is followed by millions in social media. An influencer of influencers, if you will. He advocates hard work, self-introspection and candour. All things that I have a ton of respect for. All things I try to execute every day. Lately I’ve been thinking about how Gary encourages people to pursue the dream of working for yourself and making stacks of money. He’s doesn’t sugar coat it, he tells people that there will be pain and that you need to work relentlessly. Success isn’t an accident. A willingness to out work (or out hustle) many of my peers has been a cornerstone of my achievements. But what if the side hustle is a distraction? What if instead of trying to go it alone and starting your own business, people started to focus that same passion and effort into the career that they have? The creative industry is very fluid and as an owner, I understand that there is a culture of side hustling. It’s called freelance work. I’ve never had an issue with it. As long as people are transparent about what they are doing and for whom – so that there are no conflicts of interest. But does doing discounted work after hours diffuse the value of what we are trying to accomplish from 9-5? Does it take away from potential effort at work because all you can think about is the deadline on your project at home? How about asking the question differently? Could your side hustle be affecting your progress and advancement at your primary job? Could greater effort at your main hustle impact your employer in a positive way? It brings up some Monte Carlo scenarios. What if you shared your good ideas with your employer and he/she saw the business value, made time for you to work on it on the company’s dime - paid for the equipment/software and mentored you along the way? What if your employer was serious about being a good corporate citizen and you exposed him/her to a great cause that you are passionate about and he/she ended up sponsoring you and your charity? What if you stayed late and worked harder to find that golden nugget insight for a customer that could change their business in a meaningfully positive way? What if you dug deeper in your web source code and put the kind of polish on it that made your pages rank first in Google search AND that the same source didn’t require rework? What if you attended an after-work seminar on design that inspired you to create an award-winning campaign that had an unaided recall over 50%? I’ve always run Sherpa as a meritocracy. Work hard, create meaningful beneficial outcomes for our clients and the rest takes care of itself. There are many soft success points in our industry. Design awards, strategy rewards, keynote speaking and more appreciation are all things we want. But, let’s get real for a second. Everyone wants more jingle in the jeans. Sherpa’s ability to pay more is directly tied to the volume of work that we can secure and deliver results on. The better Sherpa does, the better we all do. Work long, smart and hard and you could have an opportunity to be an owner. Is it possible that instead of working a side hustle, employing that passion in your job could have more a more immediate and predictable impact? After all, your primary employer is probably a going concern and has stability and resources that a startup doesn’t. Maybe the success you are looking for is right in front of you?